We are some of the most respected Blockchain and Distributed Ledger experts from currently more than 15 countries. 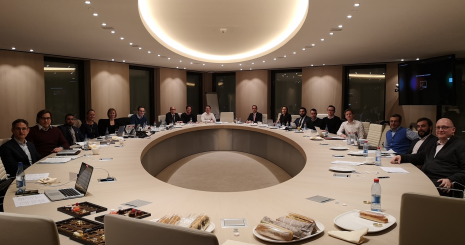 thinkBLOCKtank is a Luxembourg based non-profit organization, bringing together some of the most respected Blockchain and Distributed Ledger Technology experts from more than 15 countries. The main goal of the association is to provide policy recommendations at an EU and worldwide level which will allow a proper regulated and prosperous ecosystem in regards to Digital Assets. Our view is that any regulatory response should be clear, but proportionate, taking into the account the enduring imperatives of protecting consumers and maintaining financial stability; but also ensuring that innovation in this space is not stifled by over-regulation and legal complexity. We are also of the view that an EU-wide approach to regulation in this area is preferable to a state-by-state approach. As noted by the European Commission in the Fintech Action Plan 2018, cryptoassets are a “worldwide phenomenon”. A cohesive and coordinated approach at EU level will help to provide certainty and facilitate cross-border scaling opportunities, and should help with combating regulatory arbitrage.